We are a combination of fandub group and creative forum for both veteran and initiate fan voice actors and writers that wish to create content for the video game and anime communities of YouTube. Giving voice, and motion as well, to a drawn image or still; pretty self-explanatory yet nonetheless effort intensive. A japanese historical manga by Makoto Yukimura, this series depicts the actions and events during the Viking high-age of the 9th and 10th centuries. It is a seinen series that tells its events through the eyes of Thorfinn, a young man seeking revenge on Askeladd for the murder of his father. 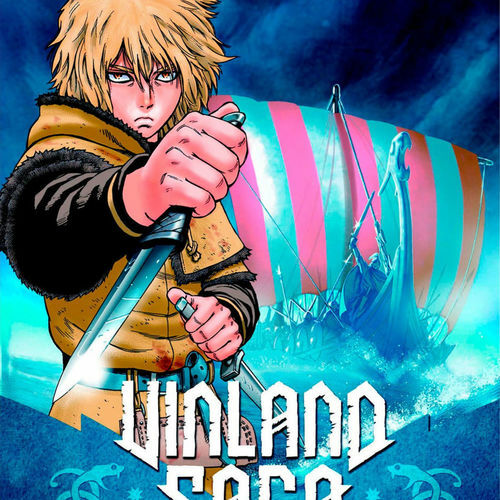 Having been published by Kodansha comics in late 2013, this series spans over now nine volumes of the cruel and dark reality of the viking age and a story of retribution between the lines. This comic dub is being done as a means of expanding our repertoire of dubbing types, as we've never done comic dubs of this scale before. 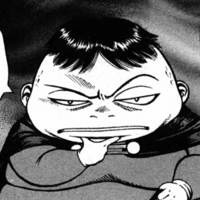 Regardless of this, we seek to give this grossly underrated manga more attention it rightfully deserves. This dub will involve the first chapter of the manga as a means of advertising the manga to the viewers as well as to keep copyrights strikes off of ourselves. 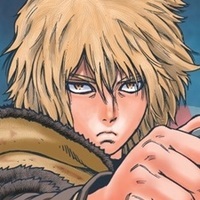 Reminder that this project will be the first comic dub of Vinland Saga on Youtube, so no prior examples can be derived for the voices and they will be left up to your own judgement on how they will sound. This project will be another recruitment fandub for our group, but do not feel obligated to join if you are uninterested or are unable to commit to our dynamic. A young warrior from the country of Iceland, Thorfinn finds himself under the employ of Askeladd and his raiders for the sake of bloody retribution for his father at the hands of Askeladd. 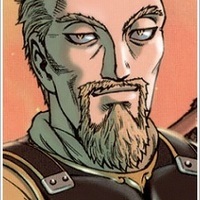 Though he ultimately became an underling to Askeladd, Thorfinn understands that patience and time would eventually gain him a rightful opportunity to take Askeladd's life. Being smaller than most, Thorfinn serves as a scout and an assassin to Askeladd's group, and uses his two broad-knives to brutal efficiency. Thorfinn is a young man of few words and fewer scruples, preferring to wait for the best possible moment to take action. 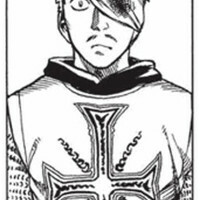 He is ultimately blinded by his single-minded desire to duel and kill Askeladd, and has become almost completely anti-social to anyone that tries to speak to him as a result. For a young man to know only vengeance and combat, his words are often equally harsh and blunt, never mincing anything from his speech. (To the Franks - Ominous) So you won't accept our offer? Because Askeladd will take his hundred men right to the defenders. (To the Norse - Threatening) Who asked for that sh!t? You know damn well what I want. (To Askeladd - Furious Resolution) I, Thorfinn, son of Thors, warrior of Iceland, upon my father's blade, do seek a duel with Askeladd. Askeladd is the commander of a small but powerful Viking raiding group, which owed its success to Askeladd's leadership and expertise in strategy. He was tasked with the assassination of Thors, Thorfinn's father, as a means of settling a debt to his Jomsviking's bosses as well as allowing the Danes to more easily take Iceland. His goals, as well as his own past, are shrouded in mystery even to his most trusted of men, though he retains a distinct dislike of the Danes. Askeladd is a manipulative and shrewd man that keeps an ear to the ground regarding his motivations and ultimate goals. He makes a show to enjoy the life of raiding and looting like any of his crew, reveling in riches and women, yet retains a level of control that may lead some to believe he carries ulterior motives. Despite this, he's a calm head that rarely ever panics at a dangerous situation, and manages to always stay one step ahead of his opponents smirking all the while. (To Bjorn - Cocky) Hmm. Looks like the local stronghold, to me. I can practically smell the treasure from here. (To the Norse - Encouraging) We're late to the party, lads! Put some spirit into it!! The battlefield awaits! (To Thorfinn - Resolute Calmness) I, Askeladd, son of Olaf, upon the name of my ancestor, Artorius, accept Thorfinn's challenge. Askeladd's second in-command, and a berserker from Geatish Sweden. Though he's a ferocious beast in combat, Bjorn could be considered Askeladd's only real friend throughout his travels. He's not as analytically minded as Askeladd, yet he's a resolute leader and a capable warrior even without his blood-curdling rage. A man of two extremes, Bjorn could be considered an analogue to the bear coat image as he's quite docile and even friendly looking and sounding from a distance but can turn into a monstrous beast when riled up. His goals align to whatever Askeladd's are at the time, as he ultimately wishes to be his equal rather than a friend. (To Askeladd - Discerning) Like we thought, it's a skirmish between Frankish tribes. I'd put the attackers at about 800; far fewer in the town. (To the Norse - Surprised) Crossbows?! Keep your heads down!! Row faster! (To the Franks - Denouncing) Why have a shield? It denies you an extra axe in hand. The greedy, and stocky leader of the Frankish forces, he was sieging a rival's fort before Askeladd's group arrived. While he's ultimately a minor pawn in Askeladd's schemes, he sees himself in control of the situations and ultimately decides to use the vikings to take down his rival; all the while scheming himself to stab them in the back following the battle. Typical medieval leader, he's a pompous and arrogant man that seeks only riches and the spoils of war following the battle; speaking highly of how god will thank him for murdering the paganous vikings after he's used them. (To Thorfinn - Condescending) And you want half the spoils? Oh, you mercenaries have grown too bold by far. (To the Franks - Sneaky) Half? Who said anything about half? They're uncouth barbarians from the far north. God will not punish a good christian for taking advantage of the pagan hordes. (To himself - Haughty) They'll be slowed down by their riches. A sailor on land is as helpless a babe. And the entirety of the haul falls into our hands! I'm such a GENIUS! A Frankish noble, brought in by Jabbathe's scheming. 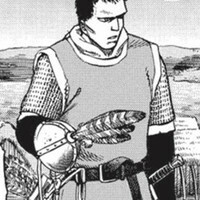 He's overseeing the attack on the fortress, yet only follows his commander out of duty rather an actual loyalty or respect. 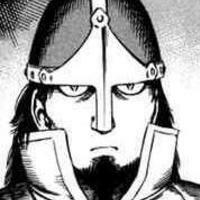 (To Thorfinn - Commanding) If it were that easy we'd have done it already! Bah, I should have known you savages were ignorant. The commander of the besieged fort and the governor of its town. Appears to be a dutiful and stout man, that is able to see through all of Jabbathe's tactics. (To his Franks - Commanding) Well done boys! Retrieve arrows and bolts now while you can! Women, tend to the wounded!